Candy peach rings frozen to perfection. A twist on the ever popular cereal vape! A decadent top shelf strawberry margarita. Hot sticky buns covered in vanilla ice cream. Rich and Creamy dessert flavor, with a light Strawberry exhale Cream. Rice Crispy Treats. Just like Mom used to make. Grape soda, Grape candy and Menthol. Dragon Fruit mix, laced with a Silky-Smooth Cream. A classic Thai Iced Tea, with aromatic Thai Spices to make the perfect Tea, blended with Sweet, Creamy condensed Milk. Rich buttery maple pecan with hints of vanilla. Delicious blend of freshly squeezed Oranges, Passion Fruit's delightfully sweet and tart nectar, and exotically fruity and creamy Guava. Rich, creamy coconut flavor that is stright from the Islands! Grape soda and Grape candy. Delicious tropical flavor combination of fresh strawberries, with coconut, and pineapple intoxicate the senses and seduce the taste buds. Honeydew, sweet berry and tangy kiwi all rolled into a smooth vape that leaves you with a fresh hint of mint. 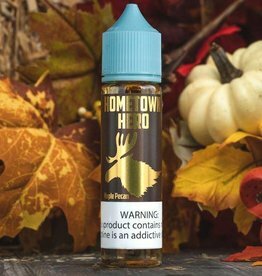 Uncle Junk spent months perfecting this blend of savory and sweet tobacco flavors. Sweet, creamy mango flavor with a nice coconut finish that is straight from the Islands!